In a public funding announcement on Jan. 5, former Governor of Massachusetts Deval Patrick announced a $996 million federal grant that will finance more than half the cost of the Green Line Extension (GLX) Project, according to Executive Director of the MBTA Advisory Board Paul Regan. Over the years, the Commonwealth of Massachusetts and the federal government have mutually funded the GLX project, which is an initiative of the Massachusetts Bay Transportation Authority (MBTA) and the Massachusetts Department of Transportation (MassDOT), Regan said. The MBTA and MassDOT, along with other transport departments, greeted the much-awaited news with a sense of relief and assurance. “The recent federal grant makes the GLX a fully funded project; it will only gather speed now,” Regan said. 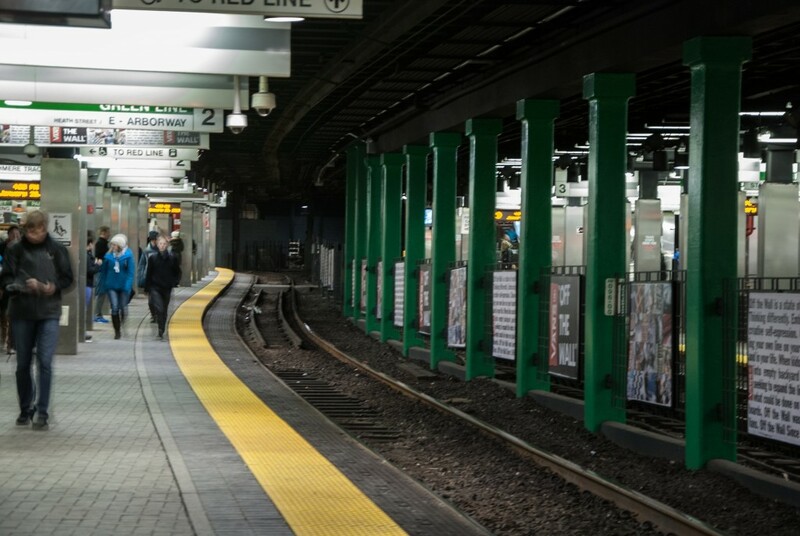 The extension of the MBTA’s Green Line aims to provide a one-seat transit ride to the residents of Medford and Somerville, who currently have to undertake bus-to-rail transfers due to the lack of stops, according to the Federal Transit Administration (FTA). The $996 million grant will be allocated for the construction of the Green Line from Lechmere in East Cambridge to College Avenue in Medford. Planning, engineering and construction issues over the years have made the GLX a highly intricate project. Therefore, the $996 million endowed by the federal government will be applied in a number of ways on the route from Lechmere to College Avenue, according to Regan. “This money will be used for constructing railbeds, engines, pedestrian paths, carriages — a whole lot of things,” Regan said. The completion of the project has faced multiple delays in the past several years. Some of the proposed deadlines were 2011, 2014, 2015 and now 2020. “The consistent delay in the construction process was due to two reasons: budget deficiency and the absence of maintenance facility,” Eric Bourassa, transportation director at the Metropolitan Area Planning Council (MAPC), said. According to Bourassa, the city of Somerville was not ready for a maintenance site, where carriages, engines and railbeds could be constructed. The site allocation process finally occurred in 2012, he said. In 2013, the GLX project entered its first phase of construction, with the widening of rail bridges and the demolition of MBTA facilities in Cambridge. Construction of new stations on the Green Line is currently underway, according to Regan. With both issues — lack of monetary aid and lack of maintenance site — resolved, great hope is expressed about the timely finish of the GLX project. Bourassa added that while construction costs may increase in the coming years, they will not be dramatic enough to affect the pace of the construction. Justin Hollander, associate professor in the urban and environment policy and planning department, also expressed a positive view on the project’s progress. Hollander noted, however, that despite the positive impact the GLX will have in the Medford/Somerville area, other problems could arise from it. The Green Line’s last stop near Tufts will prove to be a major positive for the students and staff by providing them with a one-seat, convenient commute to the university via train, Hollander said. According to Hollander, the environment will begin to benefit once the GLX project nears completion. He explained that the transit system is known to resolve the air pollution issues caused by the Big Dig, a megaproject that rerouted Interstate-93 and extended Interstate-90 to the Boston Logan International Airport and was completed in 2006. There is an additional commitment made by the state to finance the rail track till Union Route 16, Regan said.